Anritsu has released SpectraVision, a suite of software tools that creates a new generation of spectrum monitoring solutions to provide signal detection and quality analysis for TETRA and satellite signals. Also featured is a channel scanner designed to rapidly measure power levels in various frequency bands. 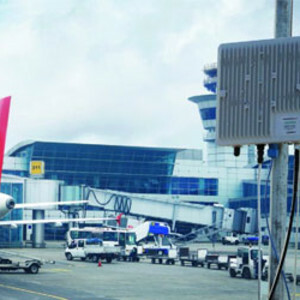 Featuring standard as well as application-specific packages, SpectraVision provides government regulators, satellite operators and TETRA operators with the necessary tools to monitor signal quality and identify problem signals as they occur in real time before they adversely affect network operation. 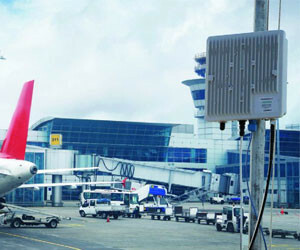 TETRA operators can locate and test over-the-air performance of their network by combining a signal analyser and scanner. Users can select a frequency band to scan for any TETRA signals that exceed a user-settable power threshold. A signal can be further demodulated showing various signal quality parameters, such as RSSI, channel power, C/N ratio, Eb/No, data rates, EVM, MER and modulation/coding schemes. A summary screen provides information on the mobile and base colour codes, network codes and location area code. Satellite operators can find, demodulate and display satellite signals using the DVB-S1, DVB-S2 or IESS standards. Once a communications link is established, SpectraVision will constantly monitor the satellite signal for quality parameters, such as MER, EVM and C/N. Alarms can be emailed in real time for remedial action. Government regulators can use the channel scanner to examine occupancy usage in each frequency band. Real-time alarms notify regulators when violations occur and allow threshold violations to be recorded along with the date/time of their occurrence. An innovative feature for SpectraVision’s satellite monitoring system is the ability to perform moving averages of signal quality over time. These measurements allow the operator to observe trends in signal performance to discover problems before they cause major system failures. I am interested in Spectrum Monitoring for TETRA and Satellite Operators .